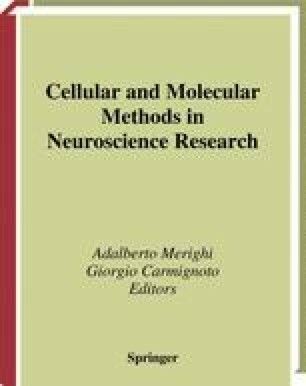 We describe a series of techniques based on the use of immunocytochemical labeling methods for the study of the neurochemistry and connectivity of cells within the central nervous system (CNS). According to our current view, neurons communicate to each other mainly at the level of synapses. Although it is now widely accepted that nonsynaptic neuron-to-neuron communication and neuron-to-glia crosstalk also occur, ultrastructural localization of transmitters–modulators at synapses and analysis of neuronal connections still remain major challenges for a correct understanding of the way in which neuronal networks are organized and operate.